Piombino was once a bustling Italian mining town in the province of Livorno (Tuscany) which has inexorably evolved into a popular destination that draw luxury yachts and yacht charter vacations during the Mediterranean European summertime every year. A solid testament of its stature as being an important tourist destination, Piombino was actually the apple of the eye by one of the sisters of Napoleon. 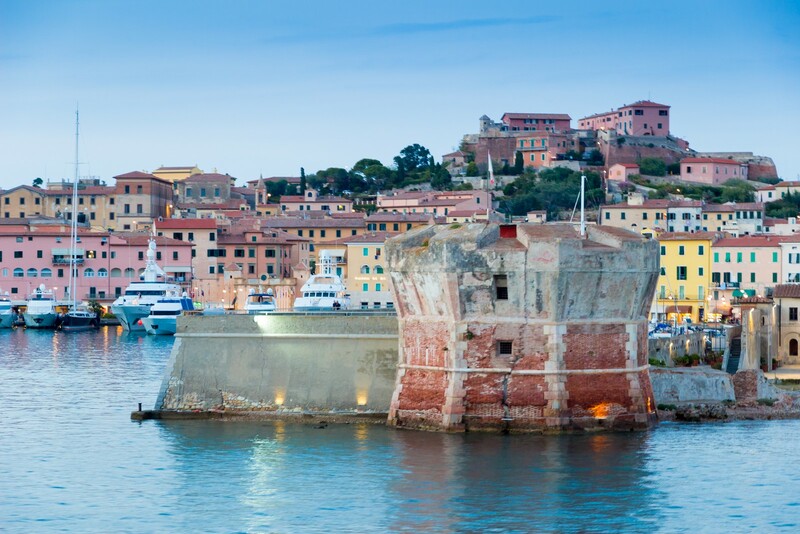 The main attractions of Piombino are its verdant landscape and quaint scenery, making it a destinations to plot on the map for a significant number of luxury superyachts that visit Italy each summer. The charming town of Piombino can be easily spotted on the Italian map. It lies on the region of Livorno and on the promontory within the Tyrrhenian Sea on the western side of the Italian coast. Referred to by seasoned tourists as “little Paris,” Piombino is the ideal jump-off point for tourists and yacht charter enthusiasts who are visiting popular destinations within the Tuscan archipelago. In stark contrast to its old image, this port city is now seen as a resort destination with a relatively laidback or rustic setting, teeming with a rich history. The region’s former capital is a significant part of the rich metalwork tradition of the Etruscan region. The best way to access this quaint town is by water on board a luxury yacht of your choice. Its location makes it an ideal destination for sailors who are coming from various ports along the coast of the mainland as well as from the islands of Olbia and Elba. There are also several ferry services that ply several routes coming from various ports within the region. A trip to Piombino from Olbia will take about 4 hours and just an hour if you are coming from the Port of Portoferraio. Traveling by air is not really a practical option for yacht charter crowds who are visiting Piombino. The closest international airport in the region is the Galileo Galilei, which is in Pisa. It is about 133 km from Piombino on the northern section near the coastal region. Even for the uninitiated, a cursory look at this quaint town is what is needed to see that indeed it is fated for greatness. The old city is perched on a section that is high above the Tyrrhenian Sea, providing one of the best views of the sea and the archipelago. As soon as you arrive in Piombino, the first thing that you have to do is check out the renowned attractions like the 13th century Palazzo Communale, which was constructed by the Pisanes and the Piombino Castles, built during the 16th century on the highest location in Piombino. Of course, yacht charter enthusiasts should not fail to check out the action in Giovanni Borrio piazza. The old section of Piombino is also the best destination for those who want to do some serious shopping. The popular shopping venues are those within the Piazza Verdi, where you can find interesting buys belonging to the modern and old aspects of Piombino. Indeed, Piombino is one of those luxury yacht charter destinations in Italy that you should visit if you are looking for an authentic and soothing Mediterranean jaunt.